There wasn’t anything that was going to stand in the way of Alissa St Laurent — not even 125 kilometres of unforgiving mountain trails and fast-moving rivers. There wasn't anything that was going to stand in the way of Alissa St Laurent — not even 125 kilometres of unforgiving mountain trails and fast-moving rivers. This weekend, the Edmonton runner was the first to cross the finish line in the Canadian Death Race, becoming the only woman to beat the entire field in the race's 15-year history. "It was something I wanted, something I wanted to see happen," St Laurent told CBC News. The Canadian Death Race is a punishing footrace through the Rocky Mountains held every year in Grande Cache, Alta. Over its course, runners climb more than 5,000 metres, reach three summits and cross several rivers. St Laurent clocked in at just under 14 hours — beating out not only the other solo runners, but also the relay teams. She ended up crossing the finish line about 90 minutes before her closest solo competitor. "[It felt] pretty amazing. I feel like I went out pretty bold and it worked out for me," she said. "At any point, it could have backfired on me … I pushed it." She said she trained extensively for the race, which made her confident in her ability to judge how hard she should push. St Laurent said it is unusual for a female runner to come in first in an ultramarathon such as the Death Race. After finishing close to the top in several other Canadian races this year, she said she was determined to come out ahead at the Death Race. "There were so many girls out in the course and the finish line that were like 'wow, you did it,'" she said. "I think that's something." 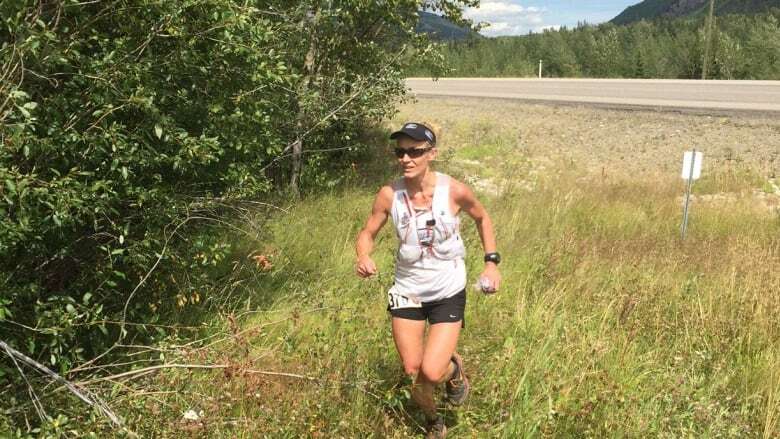 She told CBC News that she hopes the victory will inspire other women to take up long-distance running and take on challenges like the Death Race. "A lot of women hold that back, that competitive drive. I'd like to see it more."